I recently did an event at Northshire Bookstore in Manchester, Vermont. Northshire is universally recognized as the preeminent bookseller in the State of Vermont. It has a faithful, steady clientele and its staff actively hand-sell titles. One of them, a cheerful crystal-eyed guy called Stan, is known throughout the publishing industry for having a singular ability to inspire sales of one thousand copies or more of a single title. Because of this, he is swamped with review copies of books that come to Northshire from everywhere. Northshire is an example of the resurgence of the independent bookseller. Barnes and Noble, who once dominated the business, has become less and less relevant and, in fact, is closing down many of its book stores. 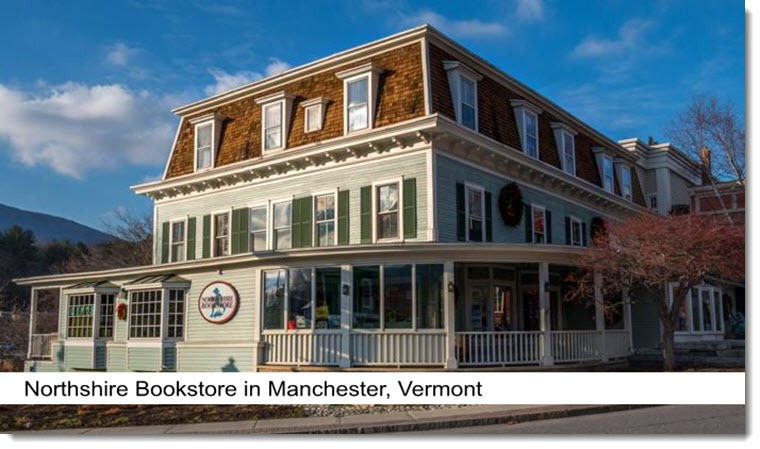 Without a local chain bookseller, book buyers are thankfully homing back to the independent retailers such as Northshire and another vibrant bookstore in Norwich, Vermont called the Norwich Bookstore. Both of these booksellers are thronged with serious readers. I’d like to think that supporting the local bookseller is a bit like buying local produce. I know this might be a stretch because local produce is arguably fresher and more flavorful than, say, California produce that gets shipped across the country. However, there is something about buying a book in a local bookstore that makes the buying, itself an experience. At Barnes and Noble, you wait in line like you would at a bank and buy a book with a minimal exchange at the cash register. At the local bookstore, usually the person manning the till is engaging and in many cases, knowledgeable about current titles and is often forthcoming with their likes and dislikes. This, again, tempts me to liken the experience of buying a book in an independent bookstore to buying fresh food, or comparing the local bookstore to a gourmet food shop. Like a gourmet food shop, the local bookstore’s decor often has a very pleasing, comfortable, homey feeling and I would argue that this plays into the passion for reading that many people have.